To help you prepare for Black Friday, we’ve put together the best tips for selling on Amazon. Black Friday 2018 is shaping up to be one of the best in recent years. The National Retail Federation (NFR) and Prosper Insights & Analytics’s annual survey, released in October this year, shows that consumers intend on spending an average of $1,007.24 during the 2018 holiday season, up 4.1 percent from what they planned to spend last year. PwC echoes this sentiment with their 2018 Holiday Outlook reporting that consumers will spend an average of $1,250 each on gifts, travel, and entertainment this holiday season, an increase of 5% over last year. With Black Friday 2018 considered the official start to the holiday season, Amazon sellers are wise to gear up for this huge shopping day by making sure they have the best places for sourcing Black Friday items as well as selling them, so they can capture the maximum benefit. So, without further adieu, here are 10 best tips for sellers to you help make this holiday season your most successful yet! 1. Make sure your infrastructure is ready, both systems and people. Black Friday can mean huge bursts of simultaneous traffic, known to have cracked even the big boy retailers. If you’ve been experiencing any slowness or known bugs in your systems, no matter how small, make sure they are worked out well before the shopping season begins. Similarly, make sure you have hired all the seasonal help you need and have backups available in case anyone comes down unexpectedly with the flu. 2. Pay attention to consumer trends and news sources. General news sources such as USA Today, as well as more retail-specific, like the NRF mentioned earlier in this blog, are always monitoring and reporting on consumer sentiment and buying trends. Subscribing to a few key eCommerce news sites like Web Retailer, simply paying attention to the TV news, and talking to younger and wealthier buyers about their interests are easy ways to help figure out what types of items are trending. 3. Leverage data. Analyze your own sales data for the last year or two. What were the types of products that sold the most? When were your peak sales days? Which marketplaces performed the best? However, while helpful, your own data gives you just part of the picture. There is a world of data that can help you decide what to sell and where to sell it. You can track Amazon’s early sales and trending sales categories. But examining each product on an individual basis can be so time-consuming that it doesn’t really make sense. That’s where a tool like Algopix’s bulk product analysis tool can help. You can upload a list of products and within minutes you can get a full analysis showing market prices, market and shipping fees, indications of whether it is recommended or not, and relevant AdWord search phrases and competition levels across multiple marketplaces – all with a single click. These reports let you make smart decisions about what to buy, where to sell, and where to invest your advertising dollars. 4. Create pre-sales buzz with emails and exclusive promotions. Reach out directly to your mailing list. Start early. Give notice of the start times for special promotions. Stand out from other sellers by offering special incentives for buyers, such a chance to win a popular product or a coupon for x dollars off a January purchase. Get creative and think of things that appeal to your ideal shoppers. If your email list is segmented, send targeted emails with relevant deals to each group rather than a general email blast to all. If you haven’t yet segmented your list, add this to your plan for next year. 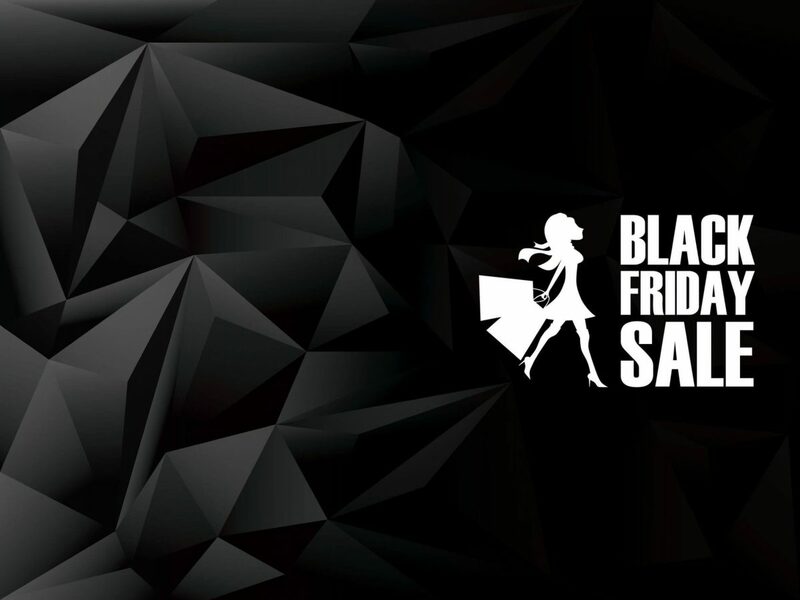 Don’t forget to dress up your website with Black Friday banners and notices of specials that are expiring soon. 5. Prepare ads and ad budgets in advance. Don’t wait until the day before Thanksgiving to start preparing your ads. Your ad design can be prepared months ahead of time if you add the ability to change the text and swap out pictures for the exact products you will be promoting. You can even prepare a variety of text options in advance. Adding the words “Black Friday” to your ads are known to have a big impact on click-through rates. In addition, make sure that your budgets are big enough to get you through the season. Be prepared to boost advertising for key products. And make sure to monitor your spend daily so you know what is showing where and that you don’t run out of budget at crucial times. 6. Check your stock levels. Make sure your inventory levels are high enough to keep up with expected demand. You wouldn’t want to have to tell your customers that their desired items are out of stock. If you don’t want to risk keeping excess inventory in stock, look for a backup supplier that can drop ship should you need it. 8. Prepackage your inventory. Before the rush hits, make sure that your inventory is ready to simply put a label on and ship. For example, if you are promoting specific product bundles, why not put all the items in one box in advance, or at least store them next to each other in your warehouse so they are ready to pack and go? 9. Promote on social. You should know which channel is most effective for your business, whether it’s Pinterest, Instagram, Facebook or something else. If you’ve found these channels successful in the past, boost some posts and see if they bring you traffic and sales. But, regardless of your paid advertising strategy, you should be promoting your sales on social regularly so you can become the top-of-mind shopping destination for your followers. 10. Monitor customer feedback and respond quickly. Reviews are a critical reason whether consumers choose to shop with you or not. Just one bad review can be costly. Of course you should make sure that all your systems and all your employees are always doing everything possible to create the best customer experience, but let’s face it, sometimes #$@* happens! A quick response is your best defense, giving you the best chance to remedy the situation and perhaps even end up with a happy repeat customer. We hope you found these Amazon Black Friday selling tips to be helpful. We’d be happy to hear any tips you’re willing to share in the comments section of this blog. Wishing you a prosperous Black Friday and 2018 holiday season!